Tag Archive | "girls golf"
The Cedar Springs girl’s golf team had a good week finishing 6th @ the OK White Jamboree at Lowell. Michaela Tawney led the way with a 46, Audrie Davis 53, Courtney Pienta 54 and Jenna Powell a 56. “The squad has picked it up a little bit,” said Coach London. “We still have a lot of work to do on our short game though. Friday the girls competed in the Russ Johnson Tournament at Gracewil and shot a 420. Michaela Tawney was medalist with a 94, Jenna Powell a 101, Courtney Pienta and Skye Pate 113’s and Miranda Merlington a 123. Plummer, Schut, and French, named Cedar Springs Athletic Boosters Student Athletes for November. 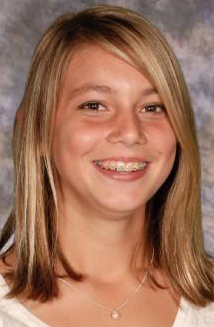 Freshman Sydney Plummer was named the November Student Athlete of the Month for Volleyball. Sydney is completing her first season on varsity with the Red hawks. Sydney currently leads her team in kills with 89 and is second in both serve receiving and digs at 191 and 106 respectively. Sydney, really respects her teammates always having her back, and knows that she can rely on them whenever needed! Sydney is the daughter of Julie and Chip Plummer. 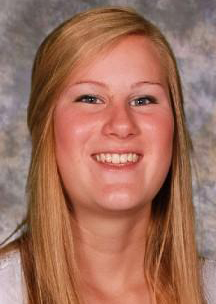 Senior Julie Schut was named the November Student Athlete of the month for Girls Golf. Julie is a 4 year varsity team member and has worked very hard to improve her game and scoring every year. Julie is an honor student with a 3.9 GPA. Julie also plays French horn in the band, and participates on mission trips with her church youth group. Julie had a great year with her Golf teammates on this years “Dream Team”. 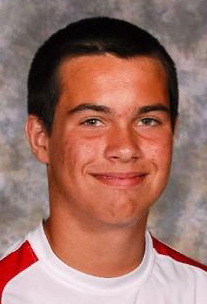 Sophomore Drew French was named the November Student Athlete of the Month for Tennis. Drew finished an incredibly successful season winning 12 matches, and finished second in conference. Drew has a 3.55 GPA. Drew also participates in Ski Club, USTA, and volunteers his time as a youth tennis teacher .Drew is very excited about the future of CSHS Tennis! Coach Unsworth states “Drew is very committed to taking every opportunity to improve his game by participating in tennis drills and activities outside of regular team functions. He is not afraid to ask for coaching advice and one on one practice time from his coach to better his play! The Cedar Springs Girl’s Golf team participated in two 18-hole tournaments this past week. At Tullymore, the Red Hawks finished in 5th place with a team score of 406. Bre White was 8th overall with a 92, Conner White and Marisa Morales both shot 101’s, and Alyssa a 112. At Boulder Creek, the squad shot a very good round of 385 and finished 4th in the OK Bronze Post Tournament. Conner White shot a 91 (7th place overall), Bre White a 92 (Tied for 9th), Marisa Morales 99, Alyssa Keaton 103 (season best), Alysha Chaney 107 (season best), and Emma Schut 115 (season best). The Cedar Springs Lady Red Hawks competed in two Ok Bronze Jamborees this past week finishing 3rd at Cedar Chase with a team score of 197 and 4th at Highlands with a 205. Bre White carded scores of 50 and 50, Conner White 48 and 52, Marisa Morales 45 and 53, Julie Schut 58 and a season best 50, Alyssa Keaton 54 and 57, and Alysha Chaney 60 and 60. “This is a very competitive conference so we are excited to be in 3rd place right now,” said Bre White. The Red Hawks have one more jamboree Monday to wrap up the regular season. The Cedar Springs Varsity Girl’s Golf team got off to a very positive start in the OK Bronze by finishing third in the Pre Conference Meet at Boulder Creek Golf Course, with a five-year best team score of 382. Bre White and Marisa Morales carded 89s, Conner White 96 and Alyssa Keaton 108 (Julie Schut 112 and Alysha Chaney 128). “The OK Bronze is a very competitive league, so we were happy with the results,” said Coach Glen London. The Red Hawks finished 4th in the first jamboree at Egypt Valley with a team score of 212. Bre White shot a 44, Marisa Morales 51, Conner White 55 and Julie Schut and Alyssa Keaton 62s (Jordyn Nichols 68). “It is a short season so we will just try to keep working hard and stay competitive,” said Marisa Morales. The Cedar Springs Girls Golf team finished off their 2011 season with a 6th place finish at the very tough division 3 regional in Big Rapids, at Katke Golf Course. Breanna White led the way with a 102, Nicole Shevock a 103, Jessica Ingerson a 105, Conner White a 109 and Taylor Rish a 115. “It was a good season,” said team captain Nicole Shevock. The Cedar Springs Varsity Girl’s Golf Team finished off their OK-Blue season with a 5th place overall finish at the conference tournament with a 412. Conner White finished in 6th place with a 94, Breanna White added a 101, Nicole Shevock a 104, and Chelsea Hull a 113.